Got some question on earthing standard. Is IEC Standard ever stated type of material for bolt/screw that shall be clamp with earthing wire? 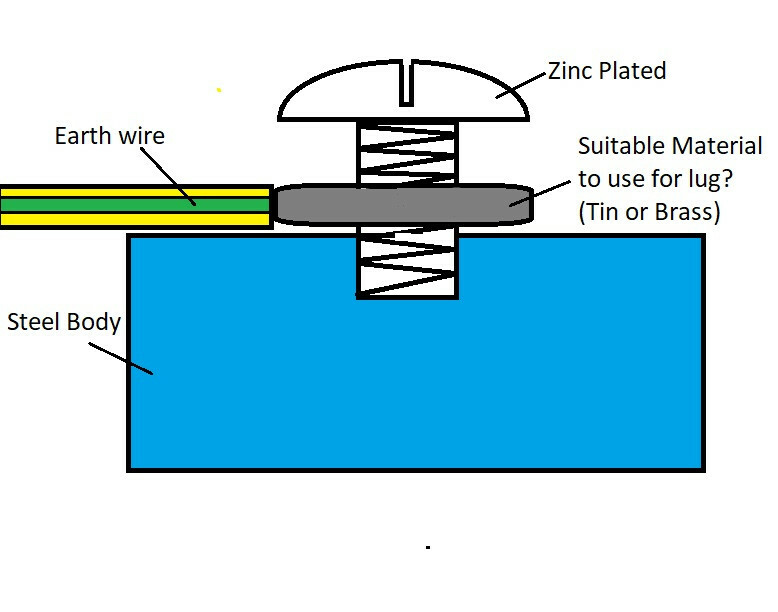 Right now I'm going to use a Zinc Coated screw for earthing bond instead of brass or stainless steel, but all known that zinc coated easy to rust under humid condition. If the zinc coated screw start to rust, will it spread through other contact surface? Copper and Zinc? A total NO, NO. What exactly are being joined? If the requirement s only a good electrical joint and no great mechanical strength is needed you can consider using a copper bolt and nut. By gradual tightening you can achive some amount of swaging, which will prevent loosening of the bolt. After jointing, you can smear room temperature vulcanising silicone gel over it and get a water proof joint as well.